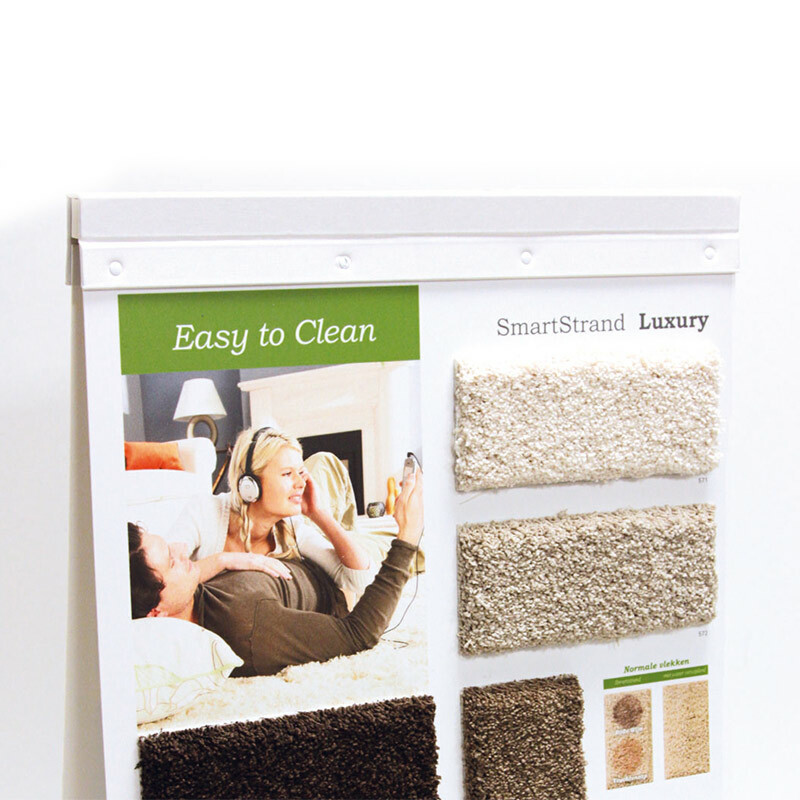 Attractively designed presentation materials help boost your carpet’s appeal and provide clients with an at-a-glance overview of your products. What’s more, shopkeepers and retailers find them easy to handle. 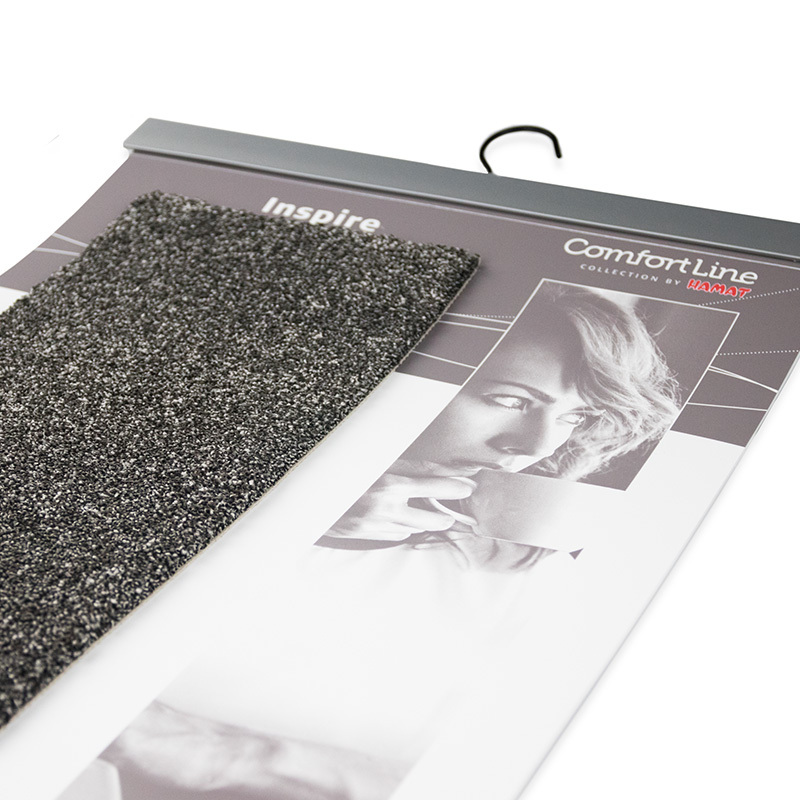 For over twenty years, Kresta has specialised in the design and production of customised presentation materials, from sample binders to carpet hangers, from displays to presentation cases. 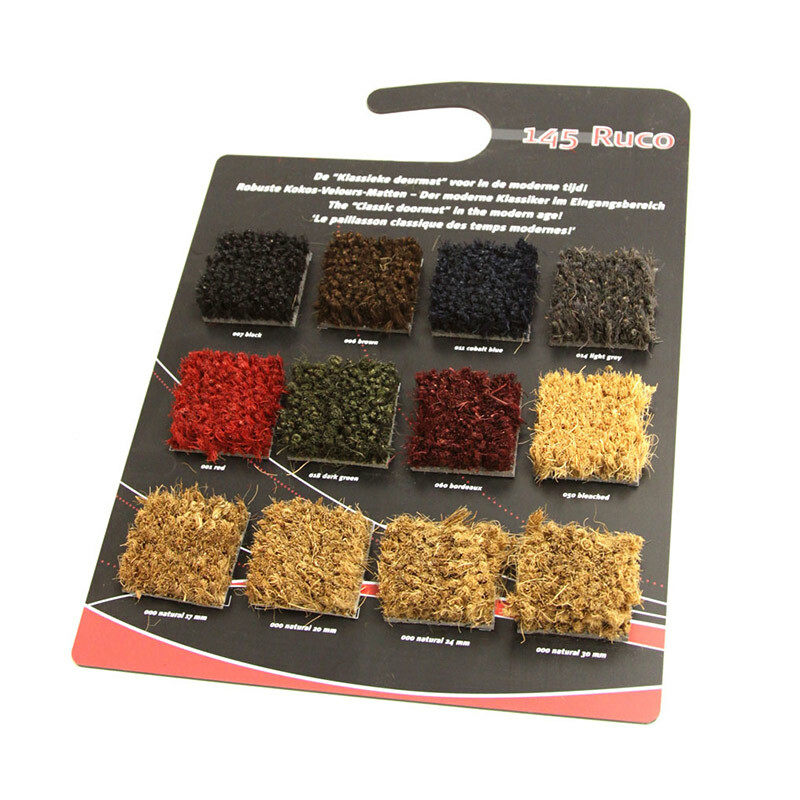 As a supplier of top-quality carpets, you’re most likely aiming to present your products in the most appealing way possible. If so, then Kresta is your perfect partner. Together we sit down and identify your needs and ideas, on the basis of which our designers can create an attractive design. 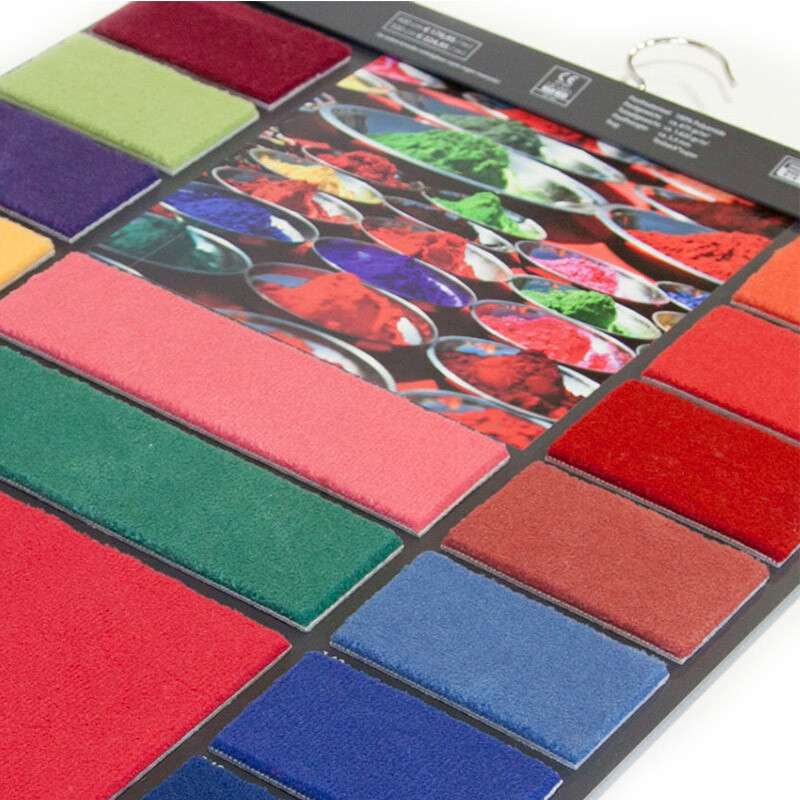 We’re happy to feed you with new ideas, so that your carpets can be displayed in imaginatively designed and eye-catching presentations: presentation materials with an appeal that reflects the look and feel of your business and the quality of your brand - and which at the end of the day do full justice to your carpet. After the design phase, our experienced professionals will create a product presentation with the perfect finish. Our innovative production unit means that we can effectuate any design. We work only with the best materials possible. After all, we believe the quality of your presentation must also reflect the quality of your product. From conceptualisation to completion, everything is under one roof. This means you deal with a single partner. How’s that for convenience? While carpets may have experienced competition from hard floor coverings in recent years, they’re still a popular material, not least for the warmth and character they give to a room. There is an enormous choice in carpet design. To put your products in their best light, it’s essential to present them in an appropriate fashion. 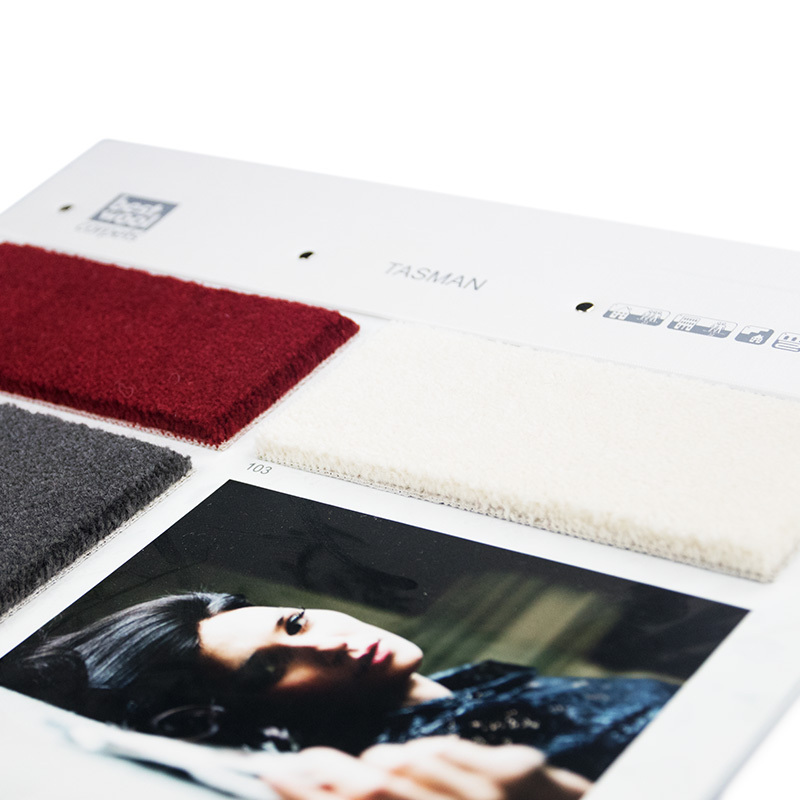 A presentation of carpets which has been ingeniously put together will help the consumer make their choice. We’re more than pleased to find you the presentation materials that reflect the quality of your brand perfectly.